Effective 9/1/2016 - Children under the age of 10 are not permitted in the Y without the supervision of an adult. SAC - This is a childcare program for any child enrolled in Kindergarten through grade 5. Non-refundable/non-transferable registration fee of $40 required for enrollment. SAC will be held if there is a 2-hour delay. Children enrolled in AM Only or AM/PM care will be bused to school at end of 2-hour delay. If 2-hour delay turns into a No School Day, care will continue until closing of Childcare at 5:30 pm. Any child K through 9 years, who is not registered with our SAC program, will not be permitted to come to the Y without adult supervision. 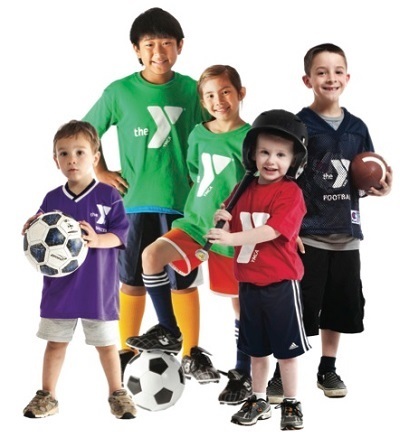 If a child (K-5th grade) is registered for a Y program, they must either be enrolled in SAC or a parent/guardian/responsible adult will need to bring them into the Y and take them to their program. The Y Early Learning Center is a State Licensed Childcare Facility and a Keystone Stars 3 participant. *Two-hour delay service is available to children enrolled in our AM SAC or AM/PM SAC childcare only. FEES ARE AS FOLLOWS:*We offer no part-time weeks in the SAC program. If you sign-up for any of the services listed below, you will be charged whether your childs attends or not. Please check with your transportation department for busing availability pertaining to a Two Hour Delay. Currently only those who are scheduled for pick up in the morning at the Y Early Learning Center will be permitted to ride during a two hour delay. Currently Enrolled Children: Wednesday, March 13, 2019 from 3:00 - 6:00 pm. Open Enrollment: Wednesday, March 20, 2019 from 3:00 - 6:00 pm. *Contact Amy Carlson, Childcare Coordinator at 726-0110, ext. 112 after above date to register. Weekly payments will be set up to withdraw automatically from a checking savings, debit or credit card. Payments will be withdrawn on Friday prior to the following week of service. If payment is not made, you will be charged a $20.00 weekly late fee. NO EXCEPTIONS. Receipts will be given upon request. Delinquent accounts (after 2 missed payments) are subject to termination of your child's enrollment in the program. Late Pick-up: Charge of $5.00 per minute after 5:30 pm. Please note: If you receive subsidized child care monies from our CCIS/ELRC agency, you will be required to pay the difference in what they provide and what the Y Early Learning Center charges in addition to your weekly co-pay. We offer no part-time weeks or part-time days for enrollment. This policy applies to all childcare offered at the Y ELC. SAC - For your convenience the Y Early Learning Center provides daily PM snacks. AM and PM snacks will be provided on NO SCHOOL DAYS at no additional cost. We are unable to accommodate special dietary needs. Please contact Amy Carlson, Childcare Coordinator at 726-0110, ext. 112 or email amy@warrenymca.org for questions/concerns. You can register online for most of our programs! If you have questions, please don’t hesitate to call the YMCA at 814.726.0110. When you are ready click on the Online Registration button below. You will be taken to an outside website that handles our secure registration process. The Warren County YMCA provides opportunities to all individuals, youth, adults, and families in the community.